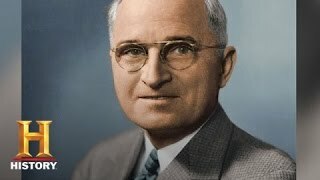 After the unexpected death of President Franklin D. Roosevelt, Vice President Harry S. Truman was swiftly sworn in as the 33rd President of the United States on April 12, 1945. Roosevelt's death from a massive cerebral hemorrhage occurred at a critical time in history, with World War II winding down in both Europe and the Pacific. “I don’t know if you fellas ever had a load of hay fall on you, but when they told me what happened yesterday, I felt like the moon, the stars and all the planets had fallen on me,” Truman told reporters. With his ascendancy to Commander-in-Chief after only 82 days as Vice President, Truman was forced to make monumental decisions that altered the world order. 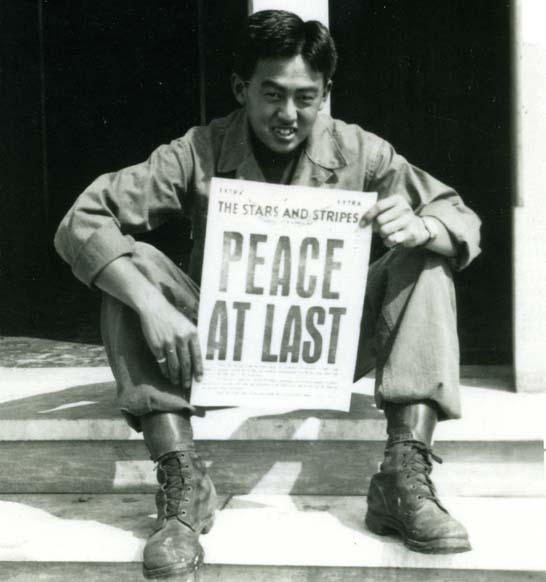 With no prior experience in foreign policy, he presided over the defeat of Germany and dropped atomic bombs on Hiroshima and Nagasaki, prompting Japan to surrender on Aug. 14, 1945. Truman’s decision to use the atomic bomb remains one of the most controversial decisions of any American president. After Adolf Hitler committed suicide on April 30, 1945, an Allied victory over Germany was imminent. On May 7, 1945, Grand Admiral Donitz, who had been President of the Third Reich for a week, travelled to Reims, France, and surrendered unconditionally. 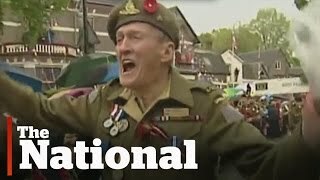 A day later, as German troops laid down their arms across Europe, huge celebrations erupted throughout the United States and Europe, with people singing and dancing in the streets. 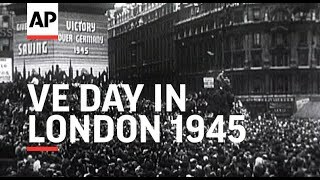 V-E Day (Victory in Europe) ended a devastating period that lasted nearly six years and resulted in millions of casualties and countless lives disrupted. In the United Kingdom, King George VI, Queen Elizabeth, and Prime Minister Winston Churchill stood in triumph on the balcony of Buckingham Palace, celebrating the Nazis’ defeat with multitudes of joyous Britons. 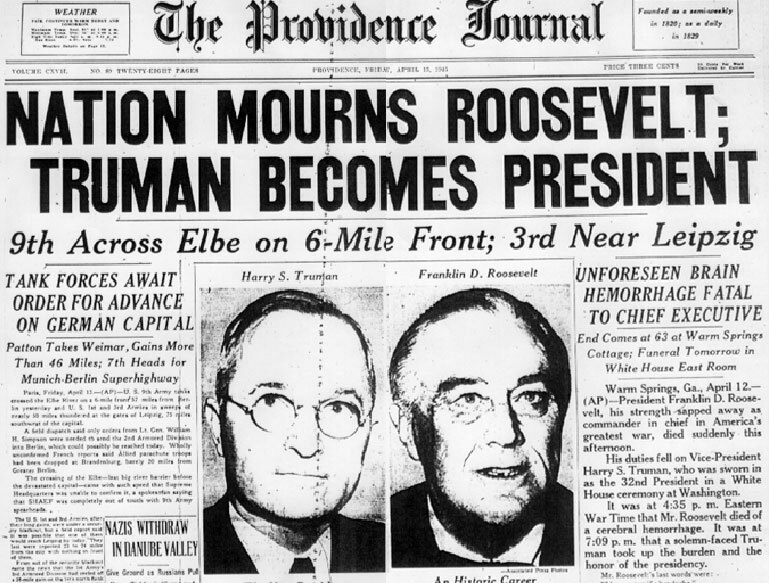 President Roosevelt dies and Vice President Harry Truman becomes US President. Germany surrenders all forces unconditionally in Reims, France on May 7. Victory in Europe is declared the next day, May 8.